‘Antiques Roadshow’ features Bert Lahr’s grandson and copy of ‘Wizard of Oz’ script The producers and appraisers would just like to remind viewers that “Roadshow,” Monday nights at 8 on PBS, is a little different than its commercial colleagues. This is also the only show likely to get a visit, as it does this Monday, from Bert Lahr’s grandson David. 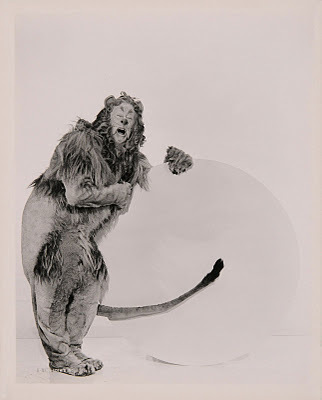 Bert played the Cowardly Lion in “The Wizard of Oz,” and David inherited his original script. Pop culture expert Laura Woolley from “Roadshow” values it at around $150,000. Ballet Memphis triumphs with magical version of classic ‘Wizard of Oz’ The score, culled from the works of British composers Benjamin Britten, Gustav Holst and Ralph Vaughan Williams, beautifully enhanced the movements of Dorothy (Julie Niekrasz), the Cowardly Lion (Kendall G. Britt Jr.), the Scarecrow (Travis Bradley) and the Tin Man (Dylan G-Bowley). But arguably, the eye-catchingly green Wicked Witch of the West (Crystal Brothers) stole the show, blending smoldering menace, devil-may-care attitude and a sensuality just subtle enough to play to a family crowd. Martyn Ellis to Step in as The Wizard of Oz in Wicked WICKED, the multi award-winning West End musical will welcome Martyn Ellis to the role of ‘The WickedWizard of Oz’ from Monday 17th February 2014. He replaces Sam Kelly who has withdrawn from the production due to ill health. Winner of 90 international awards, Wicked has cast its magical spell over audiences of all ages across the world for a decade and continues to be a record-breaking hit at London’s Apollo Victoria Theatre, where, as of 2013, it has become the 16th longest-running West End musical of all time. The Wizard of Oz and Innocence Lost This week, NBC Entertainment announced it will air Emerald City, a 10-episode miniseries based on storylines in the original Oz book series written by L. Frank Baum (1856-1919). To fans of the classic 1939 Judy Garland film, such an announcement could hold promise of an inspired piece of television programming full of fantasy and fun, and suitable for family viewing. However, Robert Greenblatt, NBC Entertainment chairman, described the miniseries as an epic battle that will be “very dark and bloody” along the lines of Game of Thrones. Unfortunately, it seems this latest return to Oz is keeping with our culture’s current taste for the amplification and perversion of nearly everything: make it louder, harder, faster. Regrettably, even The Wizard of Oz isn’t immune from our culture’s apparent erosion of innocence. Broadway World’s 10th Anniversary! The Legacy & Lore Of THE WIZARD OF OZ Time is on our side – today is actually the 111th anniversary of the original stage production of THE WIZARD OF OZ. Pop culture references to THE WIZARD OF OZ range from TITANIC to AVATAR to FIELD OF DREAMS, THE MATRIX, Tom & Jerry, The Muppets, Disney’s THE HUNCHBACK OF NOTRE DAME and many more. It’s certainly, well… popular (to cite a standout song from WICKED)! The Academy Award-winning “Over The Rainbow” has been performed by countless artists over the years – famous iterations include Frank Sinatra, Doris Day, Tony Bennett, Ella Fitzgerald, Barbra Streisand, Sarah Vaughan, Patti LaBelle, Jerry Lee Lewis, Ray Charles, Harry Nilsson, Kylie Minogue; plus, Broadway baby Matthew Morrison on GLEE and even movie legends Jimmy Stewart and Paul Newman! Last surviving Munchkin Jerry Maren was ‘Mayor McCheese’ in TV ads You may have seen him as ‘Mayor McCheese’ or the ‘Hamburglar’ in McDonalds ads, or as ‘Buster Brown’ or ‘Little Oscar’ in Oscar Mayer ads. But Jerry Maren is best known and beloved for his role as the Lollipop kid in the 1939 classic film “The Wizard of Oz.” Maren, who will turn 94 Jan. 24, is now the last surviving Munchkin after Thursday’s death of Ruth Robinson Duccini, the last living original female Munchkin. He appeared in a number of “Our Gang” comedy shorts, and starred as an ape in the 1973 movie “Battle for the Planet of the Apes.” He starred in the movie “Little Cigars,” also in 1973. He gained fame as Buster Brown in Buster Brown shoe ads, and traveled as “Little Oscar” with the Oscar Weiner mobile, Fricke said. He also had a regular part on “The Gong Show” in the 1970s as the guy who threw confetti at the end of each show, Fricke said. He did guest appearances on “The Odd Couple,” “Beverly Hillbillies” and “Seinfeld.” In 2010, he played a mime in the movie “Dahmer vs Gacy.” He was honored in September 2013 in a hand and footprint ceremony outside the TCL Chinese Theatre, formerly Graumans, in Hollywood. He place his hands and feet in the wet cement to help commemorate the film’s 75th anniversary, in 2014. NBC Gives Series Orders To ‘Emerald City’ NBC has given a 10-episode order to Emerald City, an Oz-themed drama from Siberia creator/showrunner Matthew Arnold. The order comes after Josh Friedman, who supervised the writing, recently took a pass at the script. The two executive produce through Universal Television where Friedman is under a deal. A writers room is slated to get up and running soon but casting may be postponed until after pilot season. Emerald City is described as a modern and dark reimagining of the classic tale of Oz in the vein of Game Of Thrones, drawing upon stories from Baum’s original 14 books that include lethal warriors, competing kingdoms, and the infamous wizard as we’ve never seen him before. A head-strong 20-year-old Dorothy Gale is unwittingly sent on an eye-opening journey that thrusts her into the center of an epic and bloody battle for the control of Oz. Following the success of the 1900 The Wonderful Wizard Of Oz, Baum wrote 13 sequel novels. Emerald City is the one of several Wizard Of Oz in development at various networks and the first to get a green light. One of the last ‘Wizard of Oz’ Munchkins dies Ruth Robinson Duccini, who played a Munchkin in the beloved 1939 musical fantasy The Wizard of Oz, died Thursday in Las Vegas, the Los Angeles Times reports. She was 95. Duccini was one of a troupe of 124 little people who portrayed the Munchkins in the Judy Garland film. Cox provided the Associated Press with a recent statement from Duccini about her time on the Wizard of Oz set. “It was long hours and heavy costumes. We didn’t have much time for ourselves. It was all new to me then, and I loved being a part of what is now a classic,” she said. 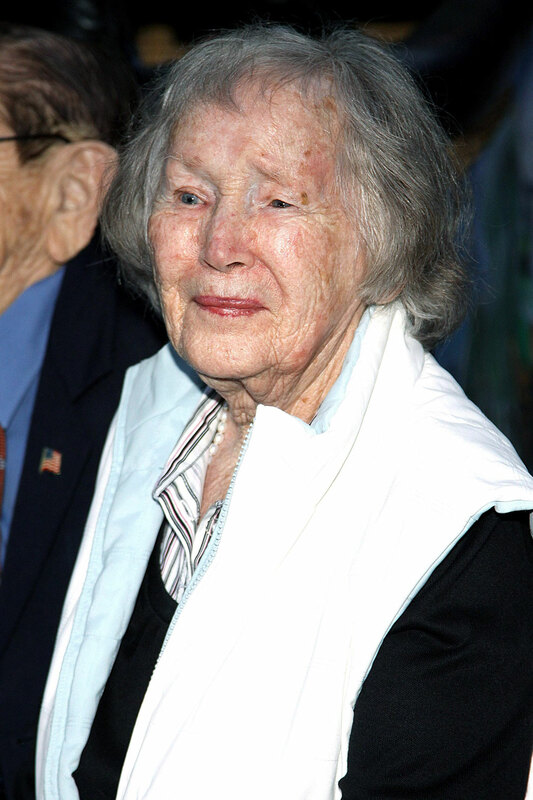 Though she gained fame as a Munchkin, Duccini told The Daily Beast in a 2013 interview that her greatest role was as a “Rosie the Riveter” at an airplane factory in Santa Monica, Calif., during World War II. (Her small size allowed her to fit into tight spaces.) “The one thing that I’m most proud of, during the Second World War, I worked on airplanes in a defense plant. … I’m really proud of that,” she said.